It's Columbus' longest running original sketch comedy show! 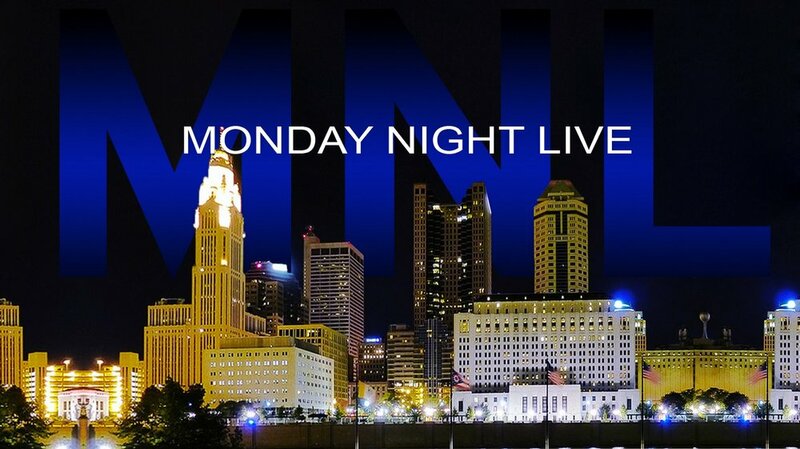 Catch the Monday Night Live players as they present brand new sketches every second Monday of the month at Mikey's on 4th. The show always features a special guest, plus takes great joy in skewering some of the things you love most (or hate) about the 'bus. Join Backburner Sketch Comedy as they join two of their esteemed members, Clive and Snee, in holy matrimony. Clive and Snee have requested that they celebrate their wedding the only way they know how--sketch comedy! Horror and Comedy collide on the Ides this March when The Sick World of Doctor Show returns to the Backstage Bistro! Get ready for a night of mayhem, monsters and madness with sketch comedy, short films and more! Join Savage Tech's horror show hosts for a show unlike any other! Beat the Monday blues with a free stand-up comedy showcase at Four String's Grandview taproom! Presented by Strange Loop Comedy. This week we have a special treat as we have standup of different characters created by the sketch comedy group Actual Wolves. See whatDan Loper, Alex Greene, Jameson Rogers, Georgia Barnes, Josh Stepp,Tom Plute, Mitch Rose and Olivia Smith have in store for you!. Also give stand-up a try yourself! Come to the show and put your name in the bucket for a chance to do a 5 min set on the show that night and possibly be booked on future shows! Monday Taproom Special: Get a pitcher of Hilltop Heritage Lager & any Mama Mimi's pizza for just $20! Columbus Comedy Connection is a safe space for comedy-centric artists to network, exchange ideas, and collaborate. Admission is free. The first hour will consist of attendee introductions, event and show information, and a speed networking session. The second hour is open and unstructured. This month Mondy Night Live is hosted by Jessica Nage and Laura Work, (Pinky and The Moon Wolf) they are the co-owners and full time hair wizards down at Salon 9 3/4's. Catch all new sketches, plus Mikey's Late Night Slice and Jeni's Ice Cream. $8.00 at the door. Come for the comedy, stay for the pizza and beer. Thanks Obama is back again with more sketches, multi-media, and of course, more President Barber Mr. Earl. Tickets $5, food and drink available. Reservations strongly recommended.